There is something so exciting about starting a new school year. The air full of exciting possibilities for the year ahead. What will you do with your year? A little of everything? Focus on a few core subjects? Let the kids' interests lead the way? However you choose to homeschool, you'll probably incorporate some type of art into the mix... and few things in childhood are more fun than brand new art supplies! So, let's do something fun. Let's kick off this amazing new homeschool year with a fun giveaway. The winner will receive a beautiful box of oil pastels, a great watercolor set with brushes, fun and vibrant colored pencils, a copy of Uncle Andy's Cats, and THREE Art History Kids guides of their choice! Click the link to enter, and make sure to invite your friends to join in the fun, too... you'll get extra entries when you share! Let's start our (home)school year with intention and excitement! I love this quote, and I come back to it often as it reminds me that my job as a homeschool mom is not to teach, my job is to INSPIRE! I hope you all have fun and exciting plans for the upcoming year, and I'd love to connect with you! 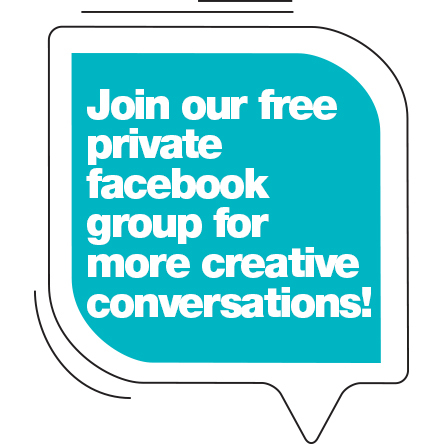 Make sure to join our fun Facebook group so we can chat!